I’m not one to complain but today I’d like to address one of the most frustrating blog sharing challenges we as bloggers face and I’m betting you have had the same issue. 1) We want to share great content that will help our followers. 2) We want to build and maintain relationships with those bloggers putting out that sharable content. 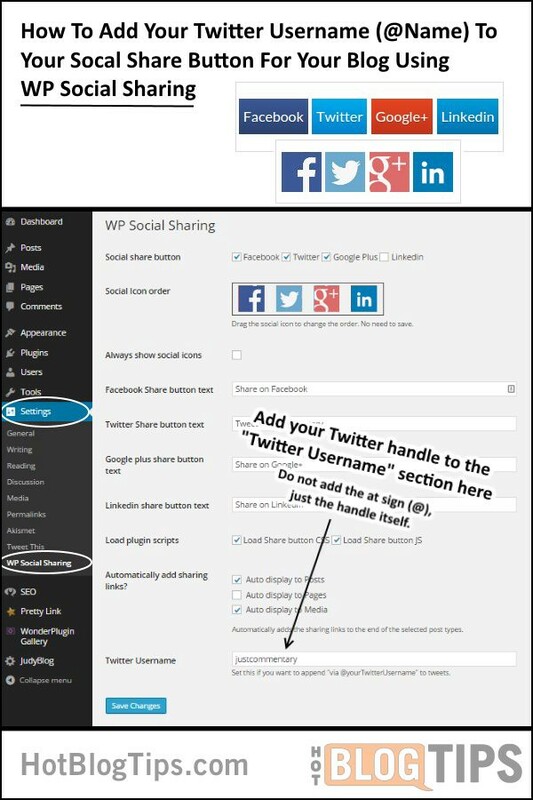 I’m amazed at the number of bloggers that still ignore the relationship part and fail to go into their social share plugin and set it up properly. They’re not listening and that’s dangerous. Is there an easier social listening tool out there than Twitter at @ replies? But hey, I’m sure I’m preaching to the choir so feel free to share this tip with anyone you think it might help. Solution / help: I use the Mashshare social plugin from Mashable on Hot Blog Tips but, truthfully, I paid for the Social Networks Add-On and the Responsive Add-On and there are a ton of no-cost solutions. From our Pinterest “Blogging Tips” Board. ☑ Go to “Plugins” and then “Add New” from the left column of your WordPress dashboard. You should see the one by “By Arjun Jain”. ☑ At the bottom of the page add your Twitter handle to the “Twitter Username” form. ☑ This will populate the Twitter share text with your Twitter @name “via @yourTwitterUsername” to shared tweets. Do not add the at sign (@), just the handle itself. Experienced Blogger - influence & relationship driven. Love content creation, social media marketing and blogging. Entrepreneur, tech geek, and blogging tips.